We offer Self-catering, Pet Friendly, Farm Cottages in Magaliesburg, Gauteng. Then Saamrus Guest Farm is the place for you. Situated in a woodland valley between a tranquil stream and the foothills of the ancient Magaliesberg Mountains, just one hour's drive from Johannesburg and Pretoria. We offer comfortable and charming self catering farm cottages surrounded by 500 hectares of unspoiled nature, bird life and walking freedom. It is the ideal getaway for nature lovers and hikers or romantic couples looking for seclusion. A better rest than all the rest! Pets welcome! Saamrus is a home-from-home for you and your best friend. If you would rather stay at home than leave the four legged members of your family behind, why not bring them along? A special pet welcome awaits all breeds of socialised and house-trained dogs. Even cats and caged birds will feel at home. Each cottage has a fenced garden to keep your pets safe while you take a nap or generally indulge in some human-only relaxation. When you're strolling with your dogs along the river banks or heading out on longer hill-rambles on the 500ha of walking freedom, dogs are allowed to run freely off the lead. 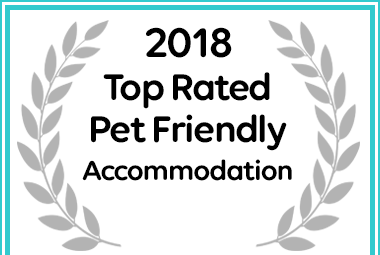 Saamrus Guest Farm has been named a Top Pet-Friendly Establishment for 2018. Saamrus is all about tranquillity, solitude and reconnecting with nature. Get down to earth and leave behind the stresses of the city. Explore nature and find yourself again.